Winter holidays at Hotel Portillo Dolomites in Val Gardena South Tyrol. 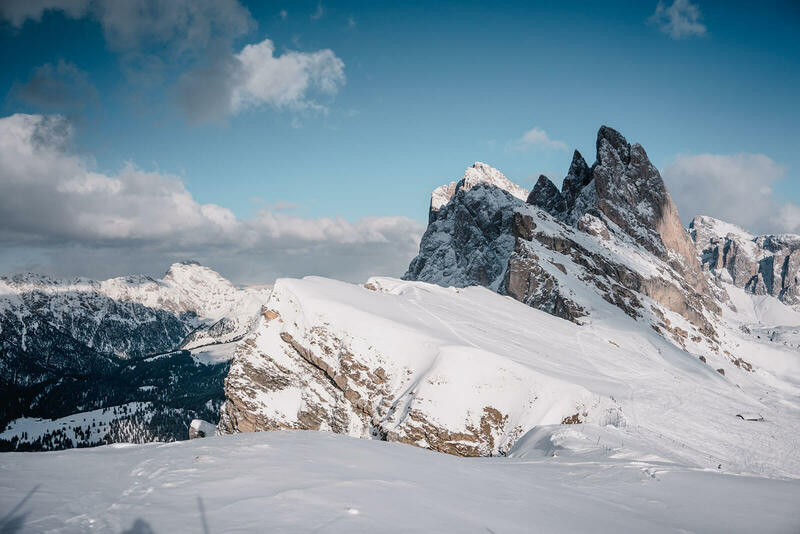 During the winter months the holiday region Val Gardena, home of the Hotel Portillo, turns into a eldorado for skiers, snowboarders and cross-country skiers. The closest lift facilities are only a 3-minute-walk away from our hotel. 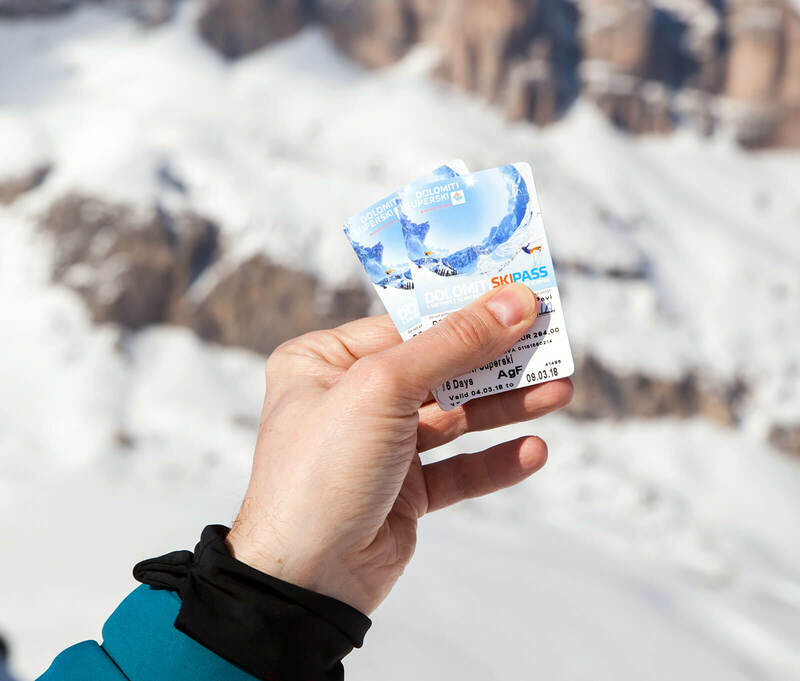 The famous Sellaronda circuit with hundreds of kilometres of perfectly prepared skiing slopes, modern lifts and indescribable scenery can be easily reached with our skibus. 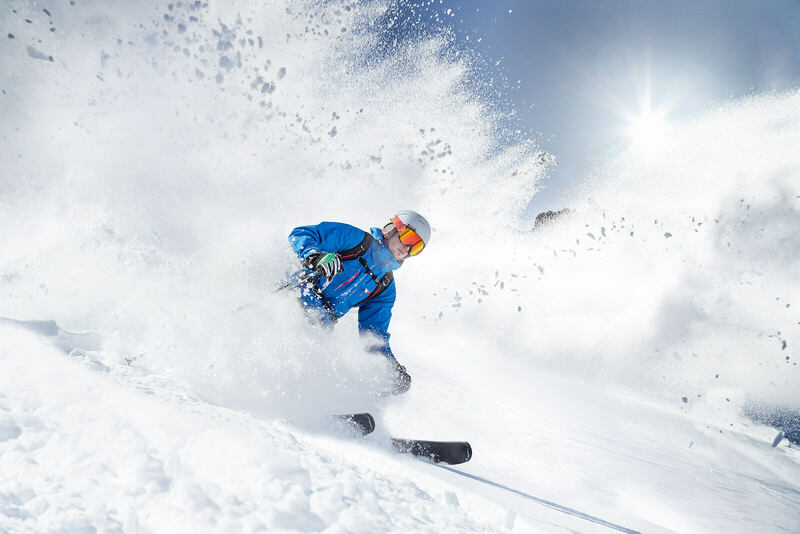 The guests of our house are granted a special discount at the local ski school and the ski equipment rental shops. 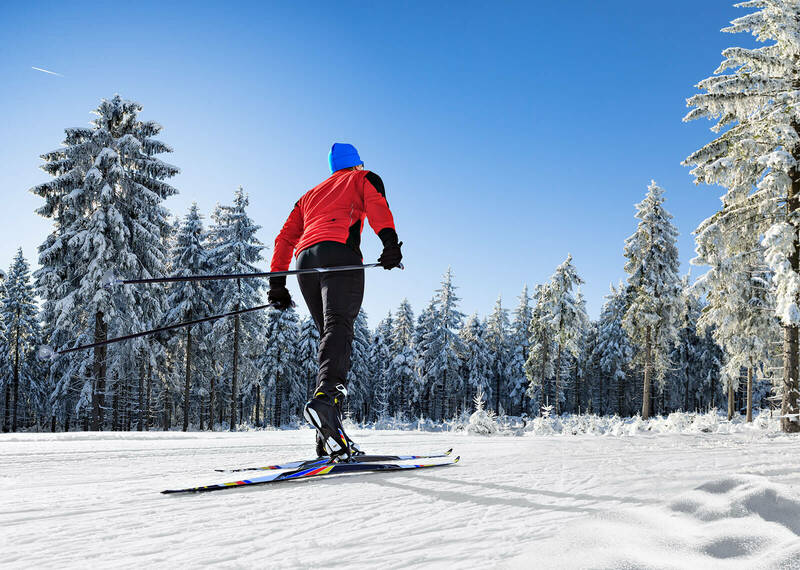 The traditional downhill skiing with our senior chef Carlo Senoner, winner of the World Ski Championships in Portillo, Chile (1966) is a very popular highlight of your winter walking vacations in Italy. 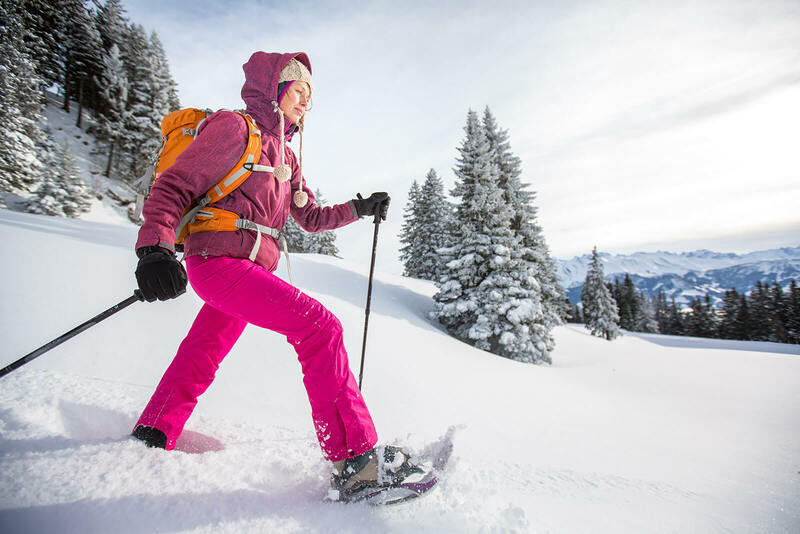 Snowshoeing or relaxing walks across the winter wonderland are other pleasant activities to try on your winter hiking trip to Italy. 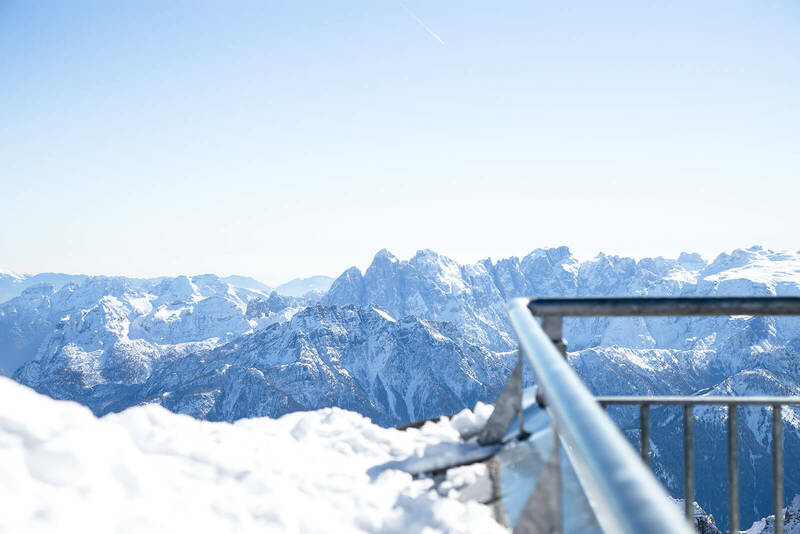 Val Gardena is a skier's paradise with 1200 kilometres of ski slopes all connected to each other, they have a good covering of snow and are equipped with modern sky lift system. 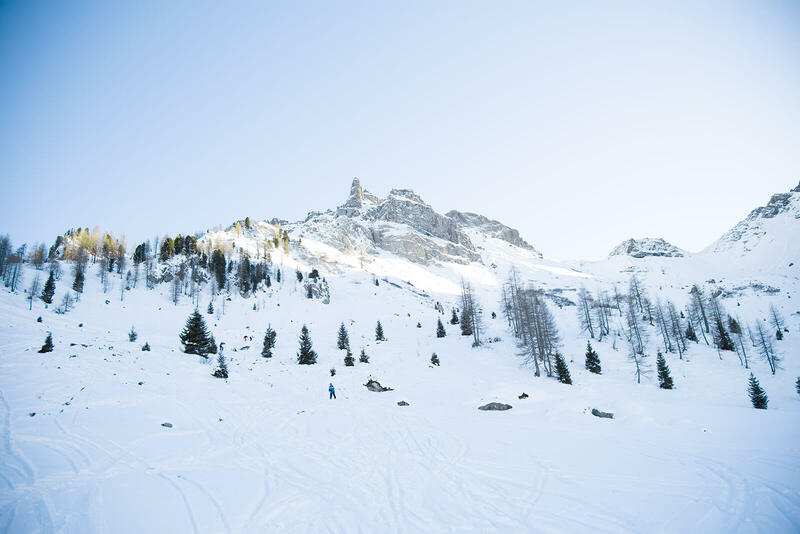 Swish down the steep slopes, there's something to suit everybody's fancy and stopping to admire mountains Sassolungo, Sella or Sciliar. The entertainment is guaranteed, no repetitiveness and you can ski every day of your holiday on a different slope, have lunch or have a glass of mulled wine in a mountain hut and enjoy the beautiful panorama. 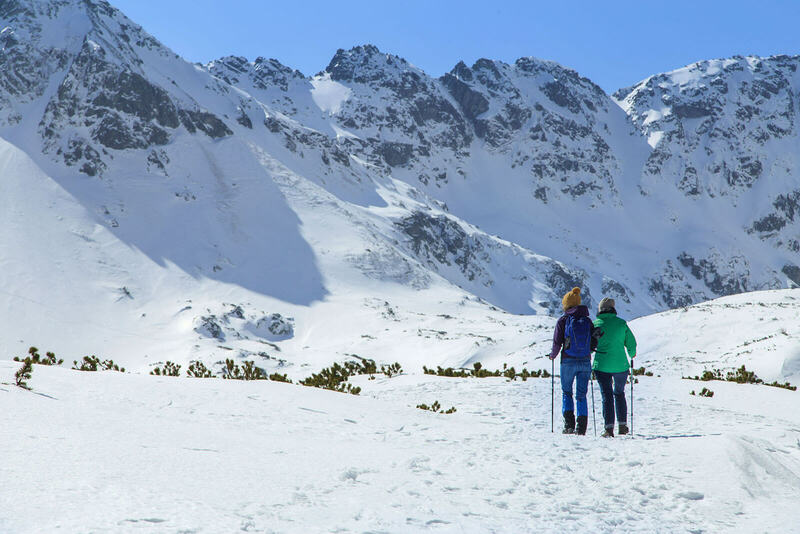 With our expert guides you will discover the most beautiful places of the valley and will learn to recognize animal tracks, to walk with snowshoes� and much more. 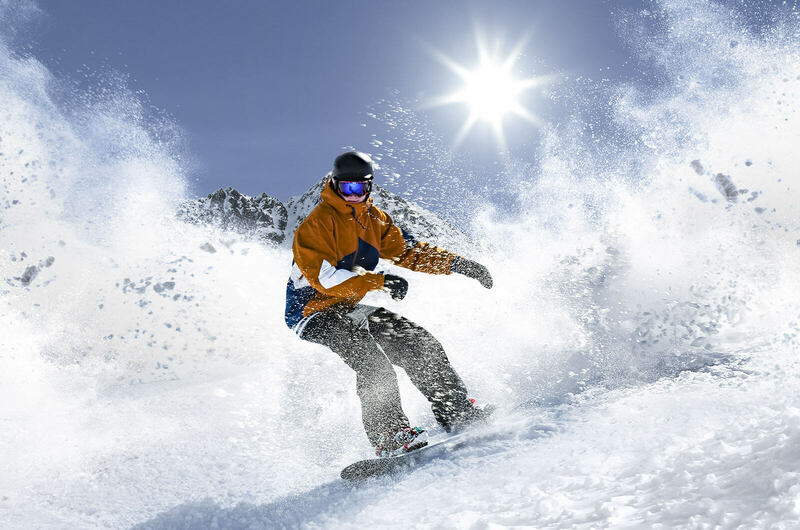 Ski or snowboard, choose the sport that best fits to you, in any case you will be bewitched by the charm of outdoor sports. From Vallunga in Selva to Monte Pana in S. Cristina, to the Alpe di Siusi above Ortisei. 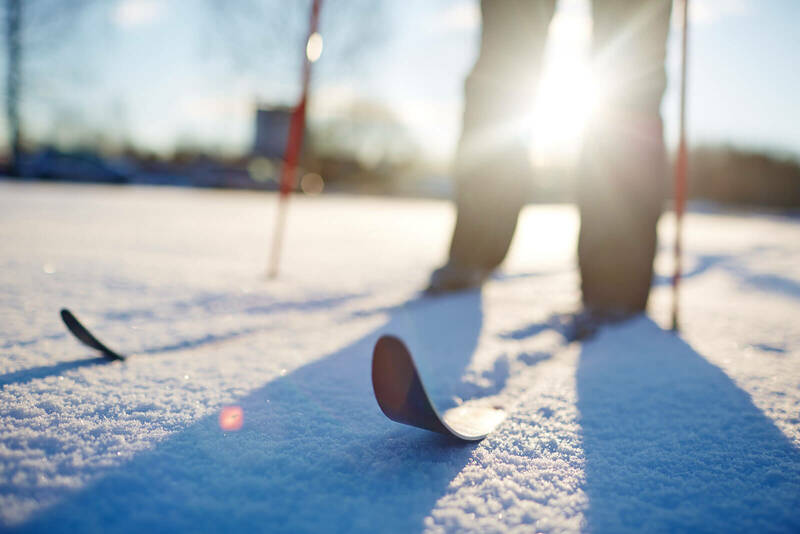 There are different opportunities for those who love cross-country skiing in Val Gardena. 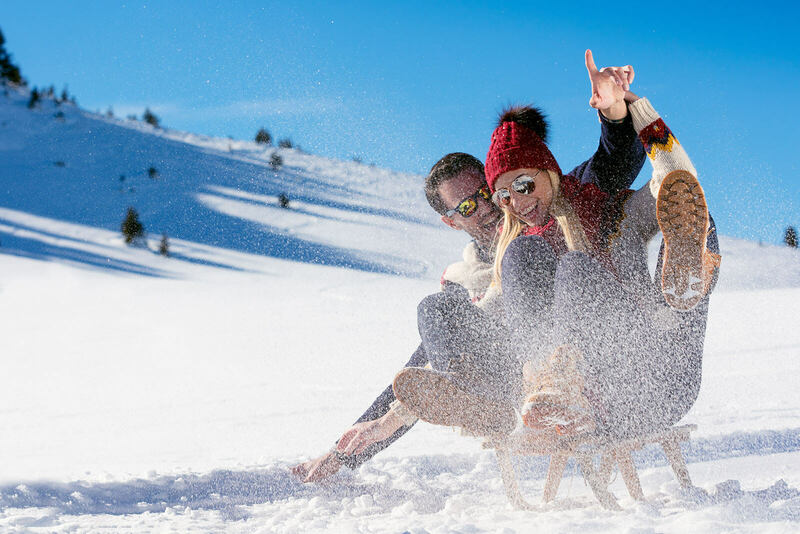 Who does not ski can choose between snowshoeing and tobogganing to explore the fabulous world of the Dolomites!